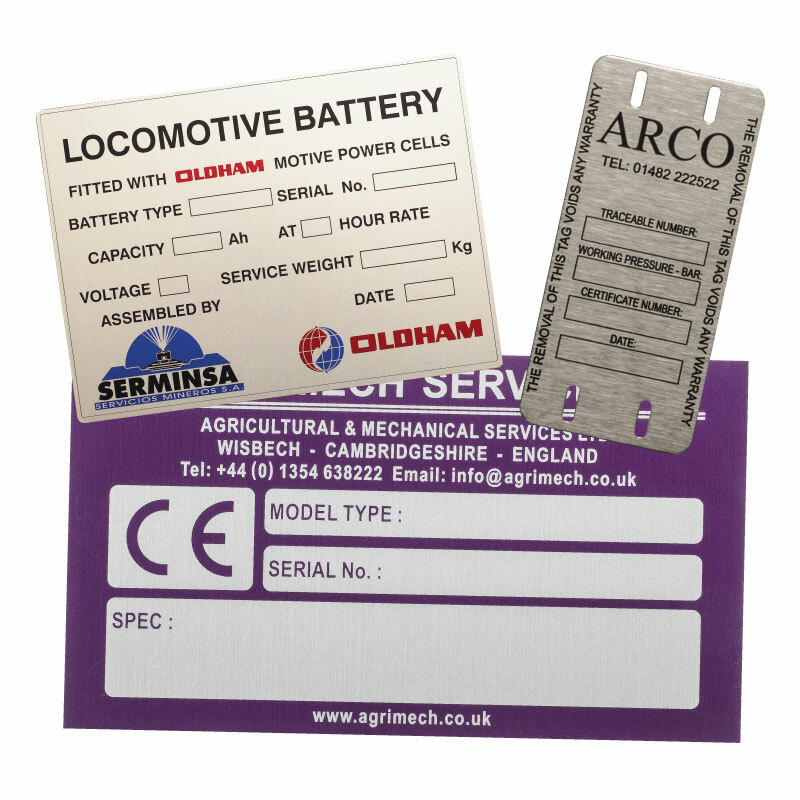 We offer a wide range of Rating Plates and Labels in various metals and plastics including Anodised Aluminium, Brass, Stainless Steel, Polycarbonate, Polyester, PVC etc. In the case of the various metal plates, we can leave blank panels for the later insertion of variable information. With plastic self-adhesive labels, we suggest leaving clear windows so that a slip bearing the variable information can show through once the labels are applied to the product. In the case of the various metal plates, these can be permanently marked by the customer at the point of application by the use of a simple set of steel punches. Alternatively, we can pre-apply this variable information by the use of a computer controlled numbering device. Alternatively, we can incorporate into the design consecutive numbering as well as various barcodes to your requirements. The rating plates can be either self-adhesive or in the case of metal labels fixing holes can be supplied for screw or rivet attachment.